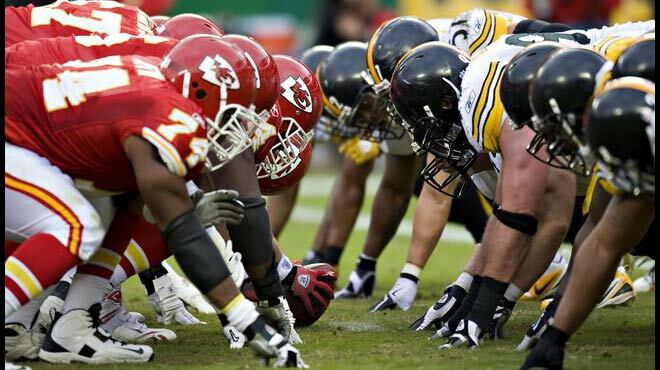 The Kansas City Chiefs are slight favorites on Sunday at the best sportsbooks online as they host the Pittsburgh Steelers in the AFC Divisional Playoffs in a game that can be seen on NBC. The Steelers are coming off a win last week in the Wild Card round against Miami while the Chiefs had a bye. These teams met earlier this season in Pittsburgh with the Steelers rolling 43-14. Let’s look at Sunday’s game and NFL Playoff picks. The Chiefs are normally excellent at Arrowhead Stadium but you might not know that they have lost their last four home playoff games. This year’s Kansas City team should have a better chance as their defense is excellent and they have a game changing player in Tyreek Hill who has scored a touchdown of at least 68 yards in each of the last four games. The Steelers have the better offense led by QB Ben Roethlisberger, WR Antonio Brown and RB Le’Veon Bell but there are some concerns that Roethlisberger won’t be at full strength after he suffered a leg injury last week. Roethlisberger hasn’t been anything special on the road this season with 9 TDs and 8 interceptions. Roethlisberger will be facing a Kansas City defense that held opposing passers to the third-lowest rating in the league and Kansas City led the league in interceptions. The Steelers are 5-3 on the road this season with six of the eight games going under the total. The Steelers are scoring about 25 points per game while allowing about 21 per contest. The Chiefs are 3-5 ATS at home with six of the eight games going under. Kansas City is scoring 24 points per game and allowing about 19 per contest. The Steelers are 0-4 ATS in their last 4 meetings in Kansas City. The Steelers are 4-0 ATS in their last 4 road games. The Steelers are 5-1-1 ATS in their last 7 vs. the AFC. The Steelers are 0-3-2 ATS in their last 5 playoff road games. The Chiefs are 4-1 ATS in their last 5 vs. the AFC. The Chiefs are 3-8 ATS at sports betting online sites in their last 11 home games. The Chiefs are 1-7 ATS in their last 8 playoff games. The Over is 16-5-1 in the Steelers last 22 playoff games. The Under is 19-7 in the Steelers last 26 road games. The Under is 38-16 in the Chiefs last 54 home games. The Under is 4-1at sports betting sites for US players in the last 5 meetings. We’ll look for the Chiefs to get the home win. Visit MyBookie Sportsbook to Bet on this Game!